It was approximately close to a month ago when we first feasted our eyes on a Motorola XOOM with Sprint’s branding on it, but yet, we’re still at a lost as to when this device will launch. Even more, Sprint has kept a relatively low profile surrounding this device that’s expected to run off Sprint’s 4G WiMAX network. 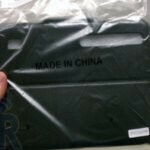 Today though, it seems that some Sprint stores nationwide are beginning to receive shipments on cases for the Motorola XOOM. 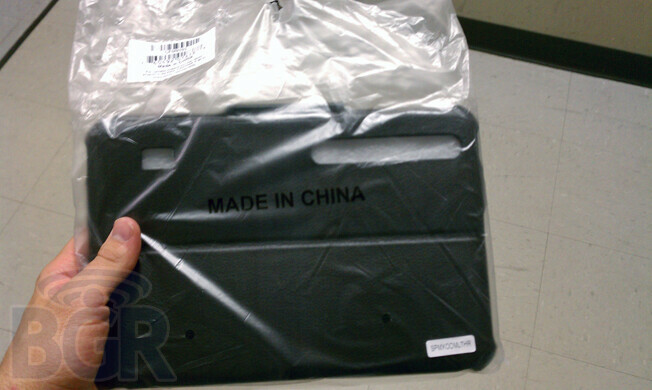 In fact, one individual managed to snap a photo of the would be case that’s expected to protect the premium tablet. 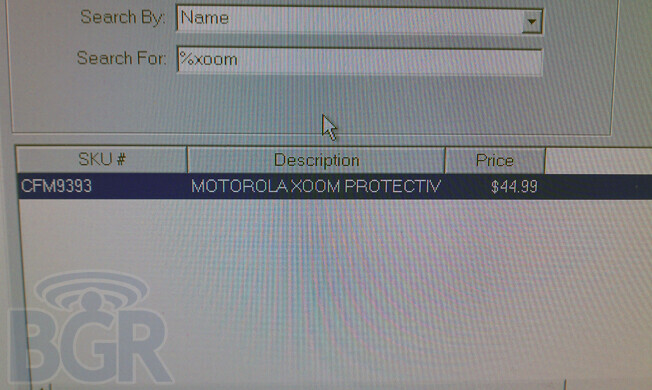 Additionally, a screen shot of Sprint’s inventory reveals a SKU number given to a protective case for the XOOM and is priced at $44.99 – which is a good indicator that the tablet is definitely coming at this point. Even though the arrival of these cases pretty much confirm the tablet’s existence, we’re still in the dark regarding an official launch date for this one – still, it shouldn’t be long at this point. Absolutely AWESOME!!! Way to go Sprint. How are we to know that these are actually from Sprint? There is nothing on the computer screen and nothing on the case/plastic wrap. I am an employee of sprint and will verify that these are in fact picture from one of our stores. Very exciting for us! But when? Surely you should know if you are getting accessories for the Xoom? even sprint seems less than excited about the launch of this failure.